Although not required to operate, obtaining federal 501(c)(3) tax status allows nonprofit organizations to accept donations that are tax deductible to the donor. The application process can be started at any point following incorporation and it generally involves several months of review by the Internal Revenue Service. In addition, retroactive tax deduction for donors is authorized by the IRS in certain instances, and nonprofits can use a fiscal sponsor for donations in advance of receiving 501(c)(3) status. An organization may qualify for exemption from federal income tax under 501(c)(3) if it is organized and operated exclusively for one or more of the exempt purposes under the Internal Revenue Code, such as for religious, charitable, scientific, public safety, literary or educational purposes, or for the prevention of cruelty to children or animals. The IRS grants 501(c)(3) status to certain types of charitable organizations, which have an exempt purpose and which allows the organization to avoid federal taxes and accept tax-deductible donations. 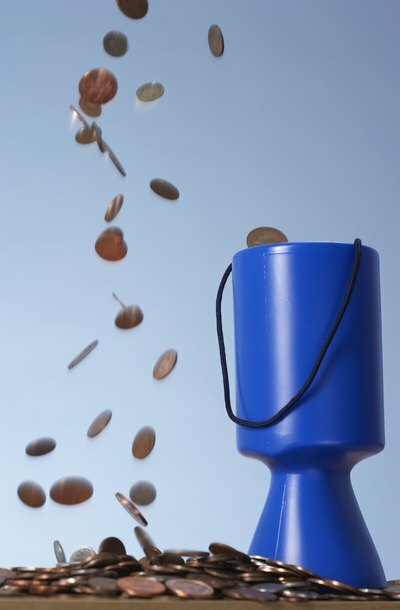 Nonprofit organizations may accept donations at any time, but if the organization wants to offer a tax deduction, it must obtain 501(c)(3) status. Many nonprofits apply for 501(c)(3) status within months of incorporating, while others apply at later points in the lifetime of the charity. Generally, it takes several months for the IRS to process 501(c)(3) applications. If a nonprofit's application for 501(c)(3) status is approved by the IRS, donations made while the application was pending may be retroactively deductible. If your nonprofit applies for exemption within 27 months of incorporation, the effective date of exemption is the date the nonprofit was organized. If you apply for 501(c)(3) status after 27 months of incorporation, donations made after the exempt application was submitted will be deductible. However, deductible donations made while the application is pending are dependent on the IRS ultimately finding that your nonprofit is exempt. As an organization with a pending 501(c)(3) status, you must follow IRS rules for record keeping and substantiating donations. For all donations over $250, the donor may request a written acknowledgement from the nonprofit. The written acknowledgement must provide the name of the organization, amount and description of the donation, and if any goods or services were given in exchange for the donation. When goods or services are given in exchange for a donation, in most cases, the nonprofit must provide a written disclosure statement when the donation is in excess of $75. The disclosure must inform the donor that his donation is only deductible to the extent that it exceeds the goods or services given in return, and it must give an estimate of the value of the goods or services. If you want to accept donations prior to gaining 501(c)(3) status, another option is using a fiscal sponsor. With fiscal sponsorship, another organization allows you to use its exempt status for the purpose of accepting donations -- often in exchange for a percentage of the donations or a monthly fee. An organization is more likely to serve as your sponsor if they have a similar mission or purpose. Nonprofits looking for fiscal sponsors will often research potential organizations' financial resources, management structure and transparency.